Our large quantity infuser is a very unique design with a very small mesh that none of the spices fall out. Easy to use and hand wash. 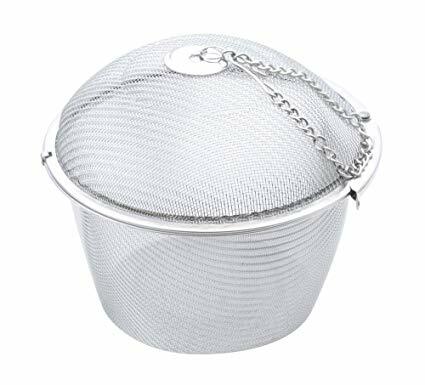 The stainless steel infuser is ideal for enhancing soups, stews, cider, wine, and especially brewing large quantities of tea. It features a finely woven, stainless steel mesh body and an easy open closure. The long chain and hook make it easy to remove the infuser from stock pots and tea pots.